I hope you find something here on Mind Body Thoughts that make a difference in your moment, your day, or your life. There is an extensive collection of information on the areas of healing, relaxation, health, and wellness. Other areas relating to Mind Body Thoughts include mental health, stress, trauma, and consciousness. You may also see a guest writer from time to time appear as well as various other topics that fit in with the area of mind and body. These are my thoughts based on my experiences, training, and learning. 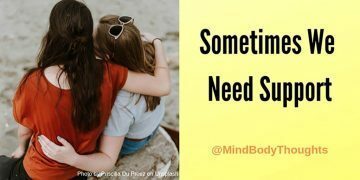 When I went through a Conversion Disorder experience back in 1991, I discovered that what I knew about my mind and body was not as much as I thought I knew. When we are born, no one gives us an owners manual, and so through our life's experiences, we must learn what it means to live in the body with a mind. All of us go through experiences to help us learn, but some of us go through experiences that are incredibly challenging. No one could tell me how to come through or survive what I had. Many people offered their truth and beliefs, but they were not my truth and beliefs. I soon discovered that while many out there thought they had my best interest at heart, I had to find and walk my path on my own. It was not easy because I had no way to know what direction or steps I must take. I had to discover that through trial and error and taking a chance. Finding my way meant that, I began to try things and see where they took me, always evaluating if they were indeed making a difference. I was not one for medication but used antidepressants and antianxiety pills for a time to help me have a fighting chance to find my way. When I found something that I could feel make a difference in my mind body, then it was a moment where I attempted to do more. The more I learned about the mind body, the more I discovered how much I did not know. Mind Body Thoughts is about the things that helped me find my way. It offers up many of the principals that I have found to be true for my own life and others. Mind Body Thoughts is by no means an authoritative source on the entire scope of what is mind body healing. That is up to each one of us to discover, but through Mind Body Thoughts, we can build upon this foundation to discover more of who we are and learn how to deal with the experiences and challenges we have faced in life. If you have further questions, check out our "Purpose" page or our "FAQ" and our "Blog"
Don't forget to check out our Columnists each month. Also, check out some of the blogs I read. Make sure you get a copy of my new book, Overcoming A Mysterious Condition.